I like obscure wines made from "godforsaken grapes" like xinomavro and agiorgitiko. And I don’t care what Robert Parker says. For the past few weeks, I’ve been enjoying red wines made from the indigenous grapes of Greece. 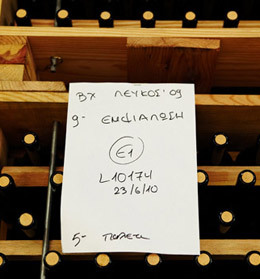 I’ve tasted mostly xinomavro from Naoussa, in the northern Greek region of Macedonia, and agiorgitiko from Nemea in the Peloponnese, but also little-known varieties such as limniona, mavrotragano, and mavrodaphne. While you can certainly find bottles of xinomavro and agiorgitiko on American shelves and wine lists, let’s just be clear: These are obscure wines. Why would I recommend such obscure wines? A few weeks ago, I might have simply said: These obscure wines are fascinating and strange in the best way, and they repay an adventurous wine drinker by providing good value and deliciousness. But apparently, according to the eminent wine critic Robert Parker, I’m all wrong.